The game contains a 4-member robotic family interacting with each other thanks to electronic playing cards. Each of the members has a different behaviour and a star movement. One of the cards indicates the condition (IF), and the other one indicates the consequence (THEN). In this way, the child decides how she wants the robots to interact. Discovering how they can act is part of the fun. Thanks to the sensors and actuators, the robots are able to vibrate, emit sounds, project images… and much more! Children can use all their creativity while developing logical thinking. By playing The Ifs, children are no longer mere users of technology, becoming the inventors of the next world instead. 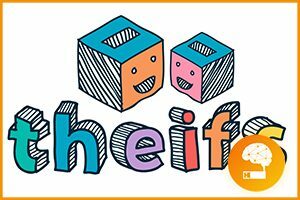 A fun, engaging and playful project that encourages the very young to explore logical programming in a screen free entertaining manner.